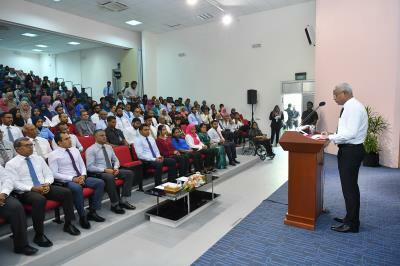 President Ibrahim Mohamed Solih has this morning inaugurated “Free Education Scheme for Degree Students” at a ceremony held in Maldives National University this morning. During the ceremony, the President noted that the two government will offer completely free courses for students who aim to start first degree from today onwards and stated that a certain percentage of the course fee for education programs offered by private colleges would also be subsidized by the government. 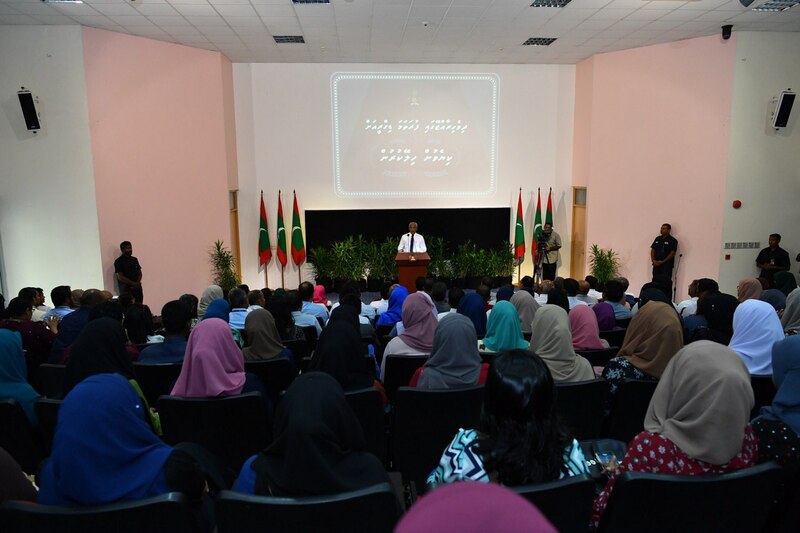 Speaking in this regard, President emphasized that the foreign universities offering courses in the Maldives whereby the greater duration of the coursework is covered in the Maldives would be included in the scheme as per the policy. Moreover, the President stated that currently around 8,000 students are enrolled in higher education in the Maldives and this number would likely increase to 9,000 or 10,000 students in the near future. Furthermore, President shed light on the recent assistance provided to the Maldivians student seeking education in foreign countries by decreasing the interest rates to 3 % of the student loans and by increasing the payback period pf the student loans to an additional 25%. Speaking more at the ceremony, the President stated that those individuals who want to seek higher education should fully utilize this opportunity and to assist and contribute to the national development.